As president of AKWIRED TASTE ENTERPRISES, Joshua Clark has always been an independent thinker and doer. A 2009 graduate of Boston University’s College of Communication, he majored in broadcast journalism with a liberal arts concentration in Spanish. He received his MFA in Film, Television & New Media from USC’s Peter Stark Producing Program. 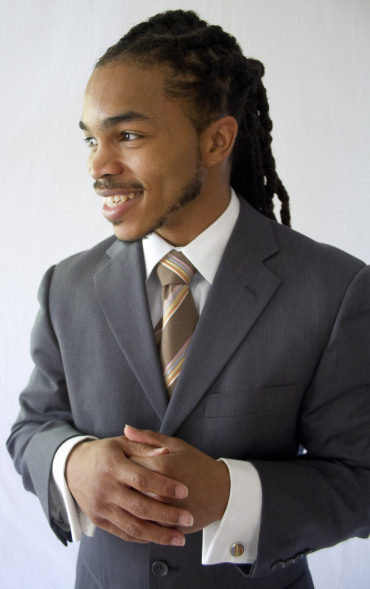 His work experience includes Harpo Studios, ABC News Chicago, HBO, and Participant Media. He has a great love for all facets of production and prides himself on his intense work ethic and courage to dream. James Baldwin said, “It is very nearly impossible to become an educated person in a country so distrustful of the independent mind”. As a teenager Clark’s grandfather left home with an elementary school education and a yearning for independence. His license plate now reads “DUES PD 2”. All he has ever asked of his grandson is to “Do Good”. Clark comes from a good home and was raised on good morals. However, he has grown to realize that when it comes to greatness, good just isn’t good enough. After taking a newsroom class in high school there was no doubt he wanted to produce, direct, and edit films and television. Internships with both NBC and CBS cemented this conviction; however, when asked what he wanted to do in the business, he responded simply, “Everything”. The counter response was that everything was impossible and he would have to choose one aspect of the industry over the others. Instead of conceding to such advice he decided to engage his independent mind. His short-term goals are to make documentaries that compel viewers to ask themselves, “What am I doing to ameliorate global hardship?” Documentaries like El Juego de Cuba, which uses baseball as a platform to reveal the pride, politics, and poverty of a nation and documentaries like Soundtrack for a Revolution, which uses song to weave together the road to civil rights and the path to forgiveness. Through his films he hopes to share the veracity of visual storytelling with the world. His long-term goal is to make A.T. ENTERPRISES the next media production giant. He’s uncertain exactly when this goal emerged, but after co-directing a bilingual documentary in Madrid and having his multimedia report on Boston’s inner-city youth lacrosse league featured on the Boston Globe website, he knew that with proper training he could move from good to great. A.T. ENTERPRISES is his opportunity to DO and BE everything and anything he can imagine. This is where all of his passions unite and work together to serve society. Clark has expanded the company by adding the Fashion division and developing partnerships with various community organizations. Everything impossible? Not for AKWIRED TASTE!